The authors of the best-selling casino travel guide in the U.S. for iOS devices, have now launched a new Android app on Google Play. 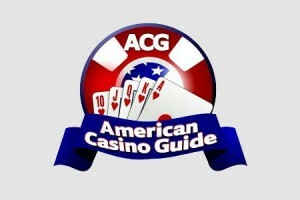 This free American Casino Guide app helps users to locate any casino in the U.S. by zip code, name, city or state. A new Android app launched by American Casino Guide, is now available on Google Play which will enable users to locate casinos in the U.S. Detailed information on each casino is also available including games offered, coupons, room rates, address, phone numbers as well as a direct link to each casino’s website. An added feature of this new app is “Casinos Nearby” which is linked to GPS technology. Using this feature will provide users with a list or a map view of all casinos located within a 100-mile radius of their current location. This feature also offers detailed directions on how to reach any of the closely located casinos. The new “Special Offers” feature provides users with details of all available coupons and specials offered by the casinos. This information is also provided in a list or map view. These discounts include free rooms, free shows, free buffets, free drinks and much more. To date there are over 200 casino offers already available on the app. For those who need a little extra help, the American Casino Guide app also offers over 60 videos on how to gamble, with a new video being added every month. These videos are hosted by Steve Bourie, a casino expert. If you want to get your hands on this fantastic casino guide, simply visit the Google Play store or you can purchase the 496-page American Casino Guide online for approximately $15.